If I have taken courses through HSLDA Online Academy, do I still have to apply for admission to Patrick Henry College? 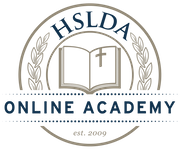 Yes—HSLDA Online Academy is institutionally separate from Patrick Henry College. Participation in the Academy’s online AP® classes does not guarantee a student admission to Patrick Henry College, and Academy students must complete the same college application process as all other students. For more information about how to apply, please visit Patrick Henry College’s website or contact the Office of Admissions by phone (540-338-1776) or email (admissions@phc.edu).